Situated 25km. northeast of Brignoles. Take route D562, then turn left onto D3l after Carces. 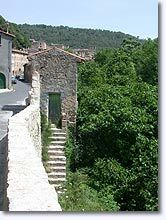 Located in the green valley of Bresque and surrounded by wooded hills, this typical Provençal village has kept its original charm that goes all the way back to the 11th century. History lovers will be gratified by the remnants of these times. The most important, without a doubt, is the castle in the center of the village. It was built in the 16thc. on the ruins of an 11thc. fort and was transformed in the 17th and 18th centuries. It has been perfectly kept and restored. 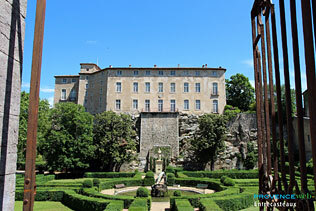 It was the residence of many Provençal nobles and boasts a garden designed by Le Notre. 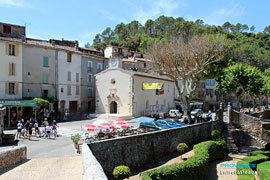 The whole village has been classified a historical monument, with its ancient houses and the fortified church St. Sauveur. Entrecasteaux is one of the prettiest towns of the region. There are lovely 16thc. houses, decorated lintels, vaulted passages and mounting streets. 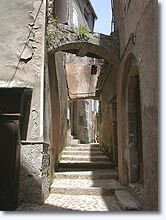 These old paved streets, lined with tall and narrow facades complete the picture of a medieval village. 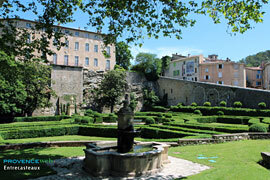 The castle and gardens. 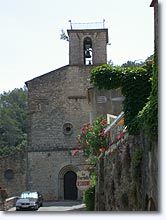 St. Sauveur Church. The wash house. The fountain. 2 bridges. Hiking around the village.Touring the tapistry factory. 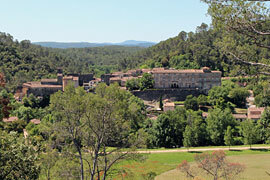 Salernes (8 km), Carcès (8 km) and Cotignac (9 km).